If you feel you will be a regular customer, we will be happy to consider opening a credit account after a few successful transactions and on receiving two good trade references. For an ‘Account Application form’ please contact us via email, and we will happily forward it to you to fill in and return it to us if you wish to be considered for a Credit Account. If you have a one off bulk order or will use our services less frequently we can also accommodate your needs. We do require cleared funds before allowing any order to be dispatched. You can transfer funds electronically via Bacs or online transfer. 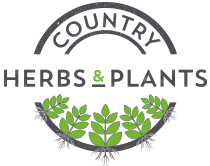 Buying our herbs online – Our herbs and other products can be ordered online from www.hettysherbs.co.uk who will deliver your order to your door. Should you be unhappy with the quality of any part of your order, we must be notified within 24 hours of receipt. We will consider issuing refunds on the grounds of each individual complaint. Should you, the customer, cancel an order you will be charged a percentage of the total invoice amount depending how far your order has progressed through our system. If the order has left site you will be charged in full.